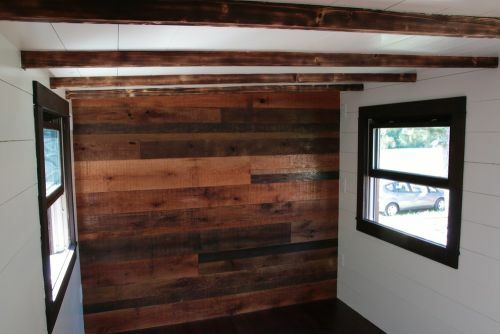 Sometimes a tiny home includes features that are designed for an instant 'wow factor'. We've seen double staircases, attached hot tubs, and meditation rooms that have become forever memorable. 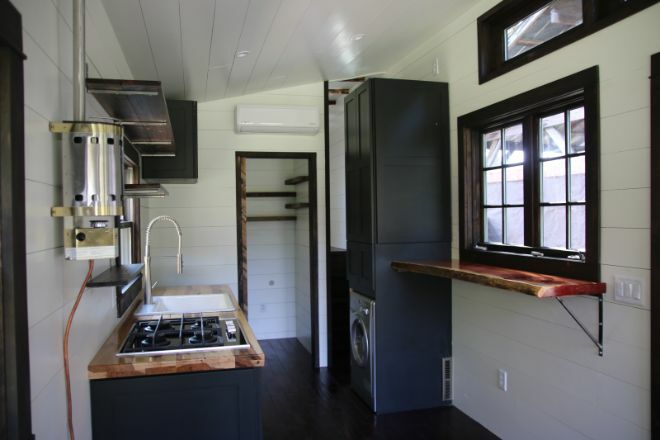 What if a tiny home owner didn't want, or need for that matter, this profound elegance? 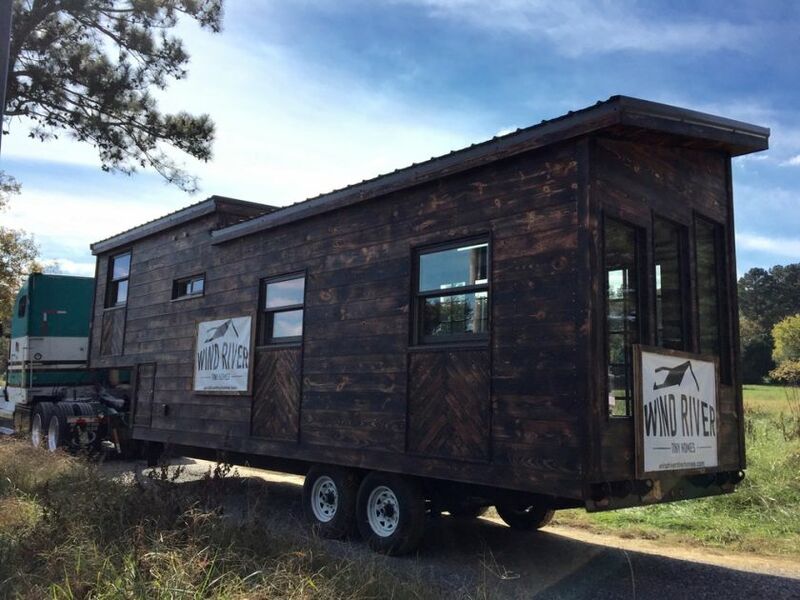 What if the luxury of a tiny home was the fact that it was simple? That's the impression that the 275-square-feet Phoenix tiny home from Wind River Tiny Homes gives off. It is a cool house both inside and out. That being said, there aren't necessarily any features that stick out at you, it's just the whole house working in unison to be mesmerizing. The great room / entryway is the star of the Phoenix. 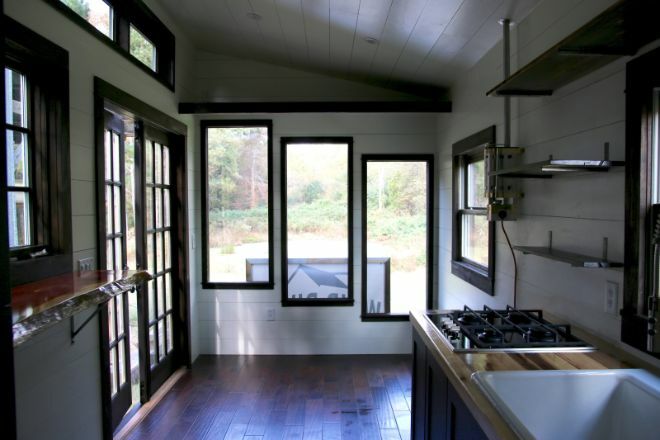 With double swinging doors and stepped windows the area is light, bright, warm, and inviting. The Phoenix may be all situated on a single story (which many people like) but it's still very spacious. 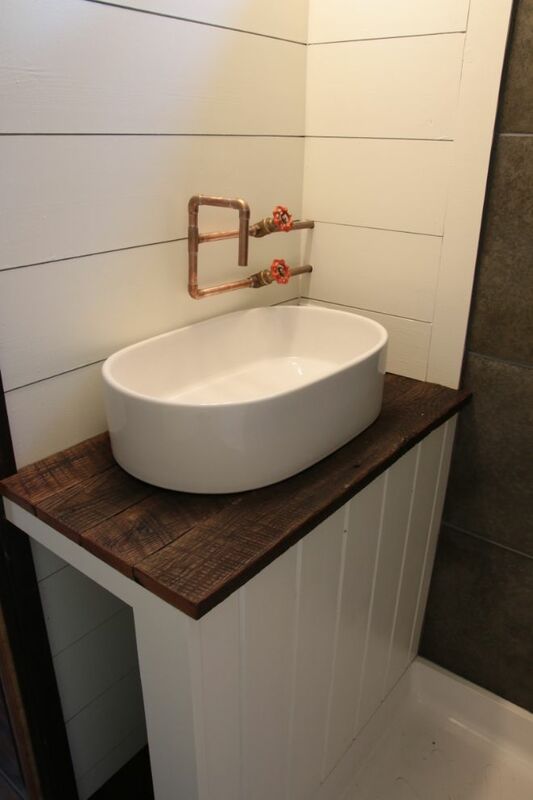 Bathroom fixtures can be upgraded, or they can be left in their bare bones state for a unique look. 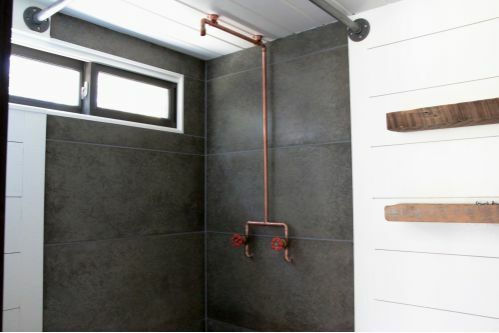 A ceiling shower gives the 'rain down on me' feel. 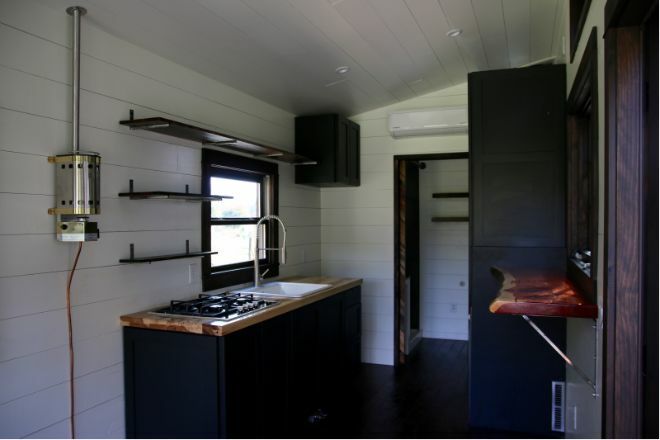 The 'master bedroom' is situated at the front of the trailer in a step-up gooseneck. 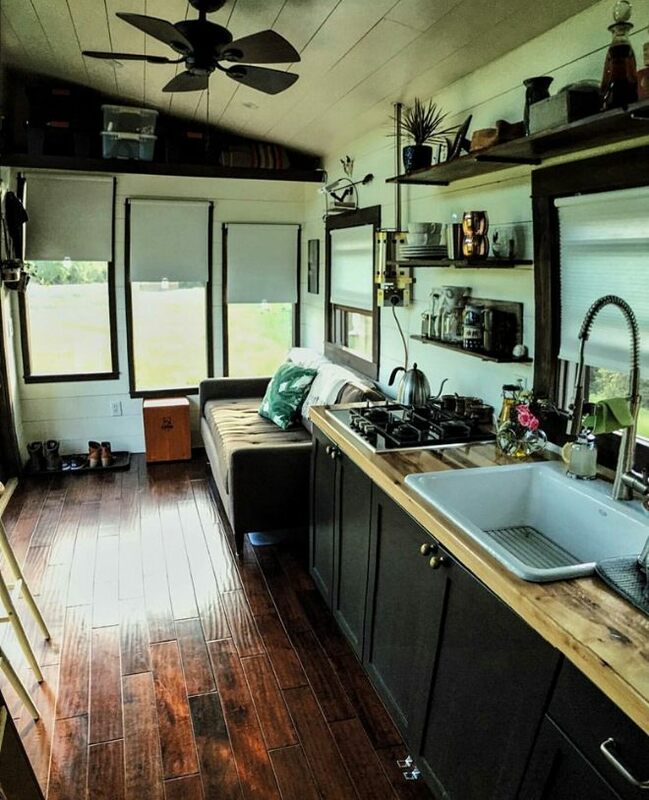 It's roomier than it looks.